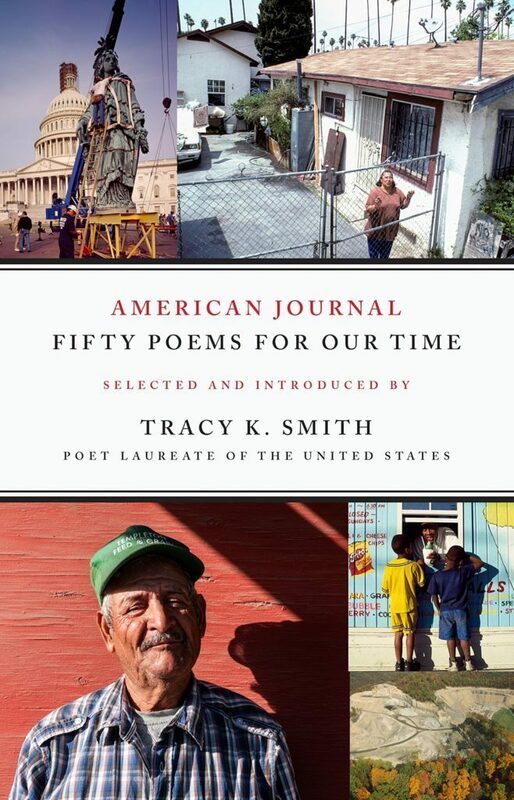 Here’s the first paragraph of Tracy K. Smith‘s introduction to American Journal, an extraordinary new collection of 50 poems by 50 living poets selected by her. I think hers is the best explanation for this kind of work that I’ve ever read. And I believe it applies to all sorts of documentary poetry, not just writing. This is why I love poems: they invite me to sit down and listen to a voice speaking thoughtfully and passionately about what it feels like to be alive. Usually the someone doing the talking – the poem’s speaker – is a person I’d never get the chance to meet were it not for the poem. Because the distance between us is too great. Or because we are too unlike one another to ever feel this at ease face-to-face. Or maybe because the person talking to me never actually existed as anything other than a figment of a poet’s imagination, a character invented for reasons I may not ever know. Even when that someone is the real-life poet speaking of things that have actually happened, there is something different – some new strength, vulnerability, or authority – that the poem fosters. This is why I love poems: they require me to sit still, listen deeply, and imagine putting myself in someone else’s unfamiliar shoes. The world I return to when the poem is over seems fuller and more comprehensible as a result. sam_admin No description. Please update your profile.